Aquaculture is more commonly known as fish farming. As an industry, this is one of the fastest growing sectors of the food market, and suggested as a potential solution to help feed our ever-increasing global population. Harvests of wild fish are steadily decreasing, with worry about habitat damage also impacting people’s choice as to whether or not to eat fish. Aquaculture is becoming a popular solution to this problem – meeting the global demand for protein whilst also producing this food source in a sustainable way. New research released this week suggests that almost every coastal country in the world has the ability to meet its own population’s demands for seafood, through aquaculture. The intention of this latest study was to explore the potential for marine aquaculture across the world, using a combination of physiology, allometry and growth theory. In fact, the amount of space Gentry and her team suggest is required to meet our growing demand might surprise you. They have identified “vast areas in nearly every coastal country that are suitable for aquaculture.” Despite identification of these huge tracts of ocean suitable for aquaculture projects, what is more surprising is that they also found that the current total landings of all wild-capture fisheries could be produced using less than 0.015% of this global ocean area. Amazingly, this is around the size of Lake Michigan. 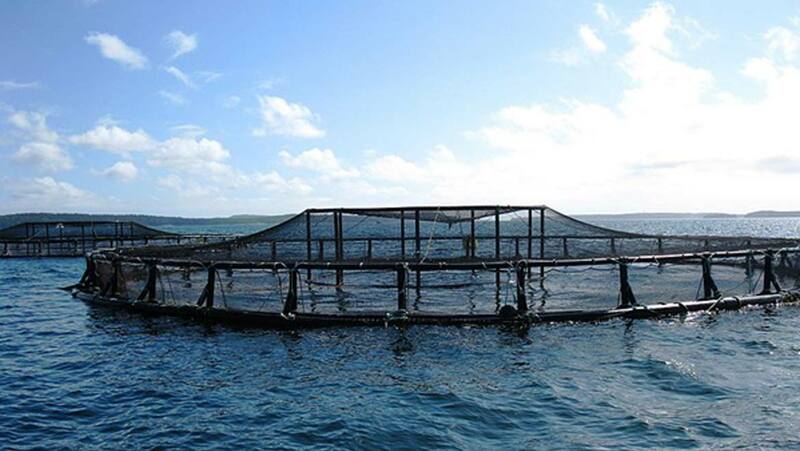 In a departure from current aquaculture practices, which generally take place near to our shores, this paper suggests that instead, using a model of open-water aquaculture should be considered for its many advantages. These include fewer conflicts between coastal users concerned about the spatial impact of aquaculture farms, less nearshore pollution and the possibility of a better availability of nutrients in offshore waters. Despite these advantages, little research has been completed into the best growing locations for new aquaculture farms around our oceans. The team involved in this research intend to change all that. In order to do so, they identified locations where oceanic conditions are likely to be able to support farms, including a variety of species of both fish and bivalves. Any areas of ocean which were used for other activities, such as shipping channels and marine protected areas were also removed. With aquaculture poised to increase by 39 percent over the next decade, research such as this will be vital in order to help identify the best locations for a new style of farming which might just help prevent food shortages in the future.